OEMs and system integrators have been looking for an integrated, easy to control and adapt solution. Critical issues here are the demand for high throughput and uptime, millisecond responsiveness along with sensitivities to the sub-micron and milli-Newton level along with a controller that is fast enough to detect minute position and force changes and respond in real time, before a component is destroyed. Switching between force and position mode should be transparent, and smooth, without loss of position information. 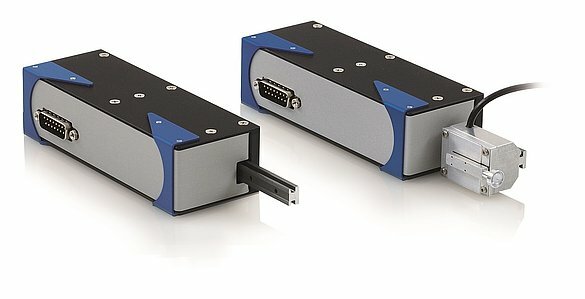 Besides offering ultraprecision position control with up to 250mm/sec speeds, PI’s innovative new V-273 PIMag™ Voice Coil Linear Actuator and compact C-413 PIMag™ Controller provide a revolutionary combination of capabilities for high-throughput generation of precision forces and positions. High-speed interfaces including real-time DIO, and high-speed TCP/IP Ethernet and USB 2 interfaces are available. A 100nm position encoder is integrated into the mechanism; a force sensor with 5 mN (Milli-Newton, equivalent to 0.5 g force) resolution is optional. 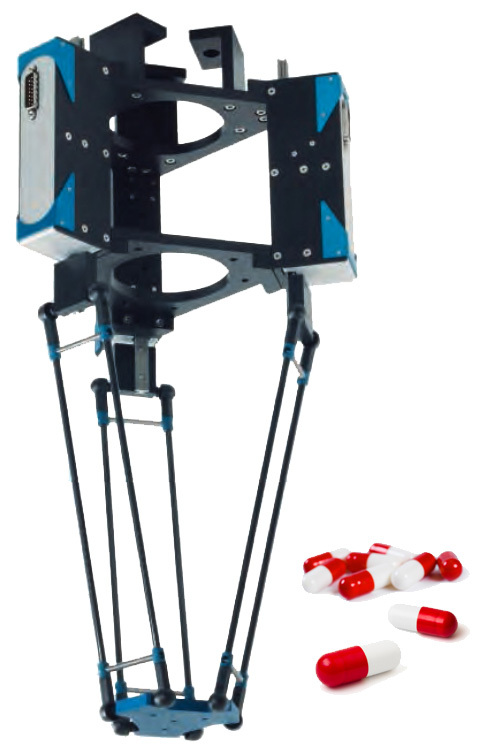 The C-413 controller allows swift position or force control and offers combined force-and-position control. An integrated data recorder provides sub-sub-millisecond acquisition for later retrieval, or the standard DIO interface is programmable and can provide triggering of motions or external equipment based on position or increment. The C-413 motion controller is supported by PI’s extensive software offering, including PI MikroMove (a comprehensive Windows GUI) and comprehensive dynamic libraries for Windows, Linux and OS X. Alternatively, since this unit utilizes the same General Command Set that all PI controllers do, you can communicate with it via simple ASCII strings– ideal for legacy automation controllers often found on factory floors. Broad and deep support for LabVIEW is provided, and also offered is support for National Instruments’ CompactRIO Programmable Automation Controllers. The system is readily controlled via its standard TTL DIO interface or available 24V EMI-resistant DIO interface, suitable for the noisiest factory floors. If desired, an integrated ground path to the tip can be configured. 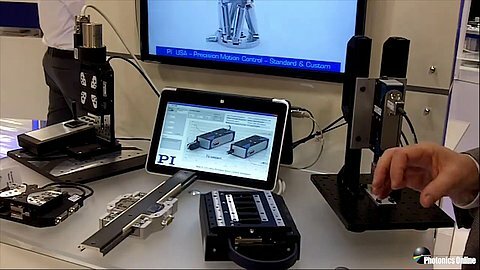 The new automation system was shown at the 2015 Photonics West / BIOS conference in San Francisco, where it ran all week generating nearly a quarter million milli-Newton-precision force/position transitions with speeds to 250mm/sec, with informative graphical application showing real time position/force data. 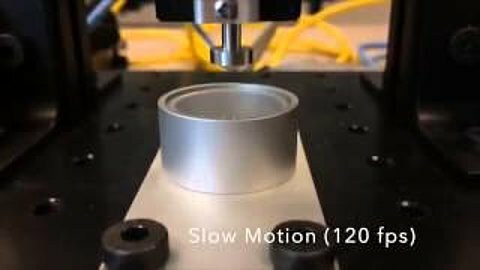 A brief close-up video of the force-actuator tip is presented above; it includes a 120 fps segment that vividly shows the fast, smooth, force-controlled motions of this remarkable new actuator as it gently impacts a glass substrate, each step concluding with the precisely calibrated force set-point. V-273 comes in several variations (stroke, force), and is a part of a rapidly-growing family of catalog and custom linear motor solutions offering different travels and force capabilities. Contact one of our global offices for expert consultation, responsive support, and cost-effective recommendations for your application. Voice coil drives can be used with mechanical bearings, air bearings, and flexures guides. 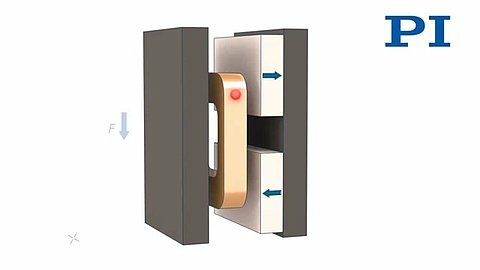 An article on the performance and tracking error of a voice coil-driven air bearing stage is available here.